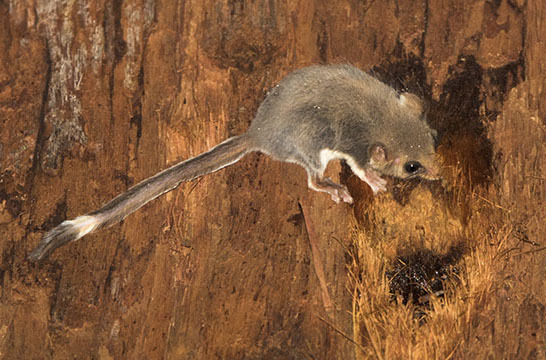 Feathertailed gliders are tiny arboreal Australian marsupials that resemble the flying squirrels of North America (they're even smaller than their relative, the sugar glider). 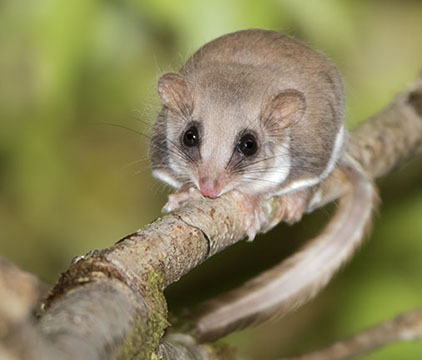 Native to forests across much of eastern Australia, they are nocturnal and feed on insects, nectar, and pollen. I photographed these in the rainforest on Mt. Lewis and Mt. 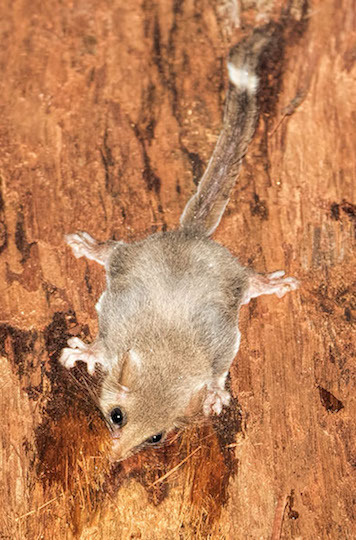 Hypipamee in far-north Queensland; the one on the red-barked tree is eating sap from holes chewed by yellow-bellied gliders.